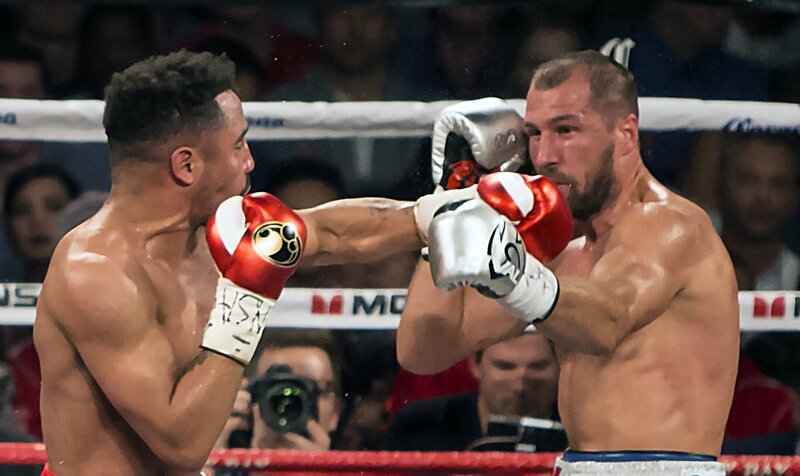 Powerful left and right hand shots to the body and face destroyed Sergey Kovalev throughout the fight, culminating in the 8th round TKO. Thanks to longtime press photographer and writer, Malaika Kambon for this excellent coverage of Andre’s latest fight. TKO! Dismantling the racist machine: Ward crushes Kovalev to retain the unified light heavyweight boxing title. When Joe Louis knocked out Max Schmeling via TKO 124 seconds into the 1st round of their legendary re-match, it was June 22, 1938, in a sold out Yankee Stadium arena. 70 million people listened in on their radios. He was the heavyweight champion of the world, and a hero in Afrikan communities. Public television was barely two years old, the U.S. was on the brink of WWII, and Hitler’s Germany had feted Schmeling as a Nazi hero and as Europe’s perfect specimen of Aryan superiority to defeat the Afrikan from the U.S.
79 years, 5 days later, Andre Ward knocked out Sergey Kovalev via TKO 129 seconds into the 8th round of their legendary rematch, it was June 17, 2017 in the Mandalay Bay Event Center in Las Vegas, Nevada, before 10,592 fans. 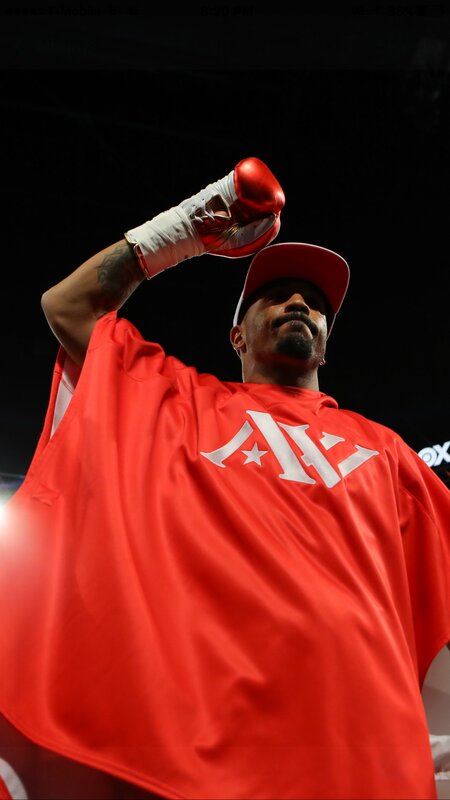 Andre Ward is a two-division world champion. 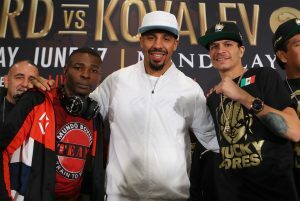 He is the reigning, unified WBA, WBO, IBF, and RING Magazine Light Heavyweight World Champion, the 2004 Olympic Gold Medalist, and the best pound for pound fighter in the world. His fans love him. His star is still rising in global Afrikan communities. Racial tensions in this country have accelerated, mirrored, and surpassed those of pre-WWII 1938. 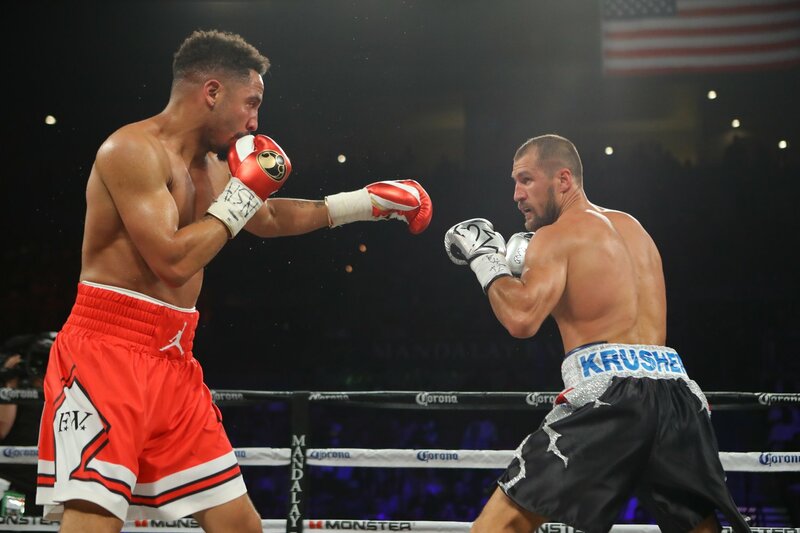 LAS VEGAS, NV – Andre Ward vs. Sergey Kovalev 2: “The Rematch” took place on Saturday, June 17 at the Mandalay Bay Events Center in Las Vegas. The championship event, presented by Corona Extra, was produced and distributed live by HBO Pay-Per-View®. “I’m ecstatic, I’m happy. I didn’t predict a knockout, but I said it could happen. I’ve been boxing a long time and, sometimes, a lot of writers and reporters they don’t take you at your word. If you look at my career and the way I’ve gone about things, I’m pretty matter of fact. I’m pretty straightforward. I don’t say anything unless I mean it. 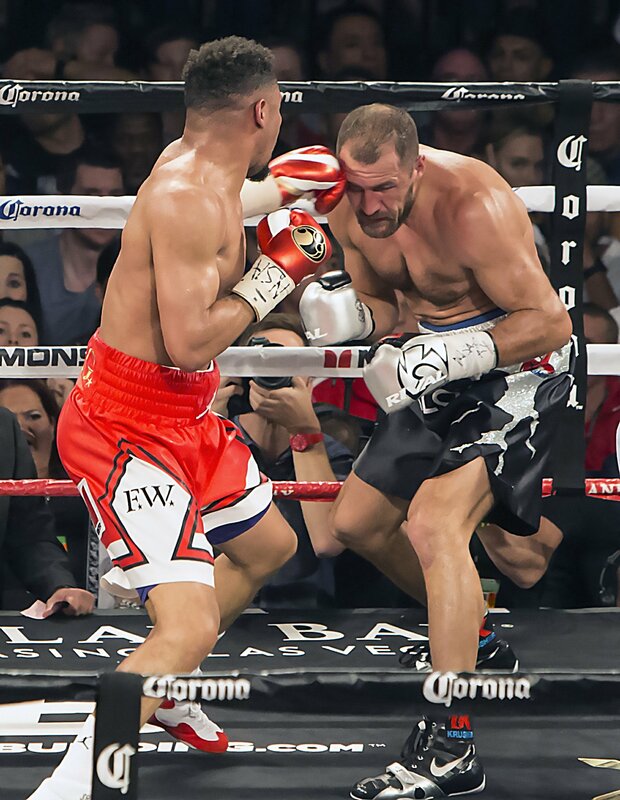 I have a lot of respect for Kovalev. He is a world champion. He’s been on top for a long time. He’s a great fighter; there’s not a lot of people that elite. I’m not going to throw him under the bus even though they did a lot of different things. But I knew the temperament that I was fighting. I don’t want to call him a frontrunner, but if he’s not having his way, he’s got to dig deep. I don’t know if he had the right answers tonight. Obviously, he didn’t because the fight got stopped. 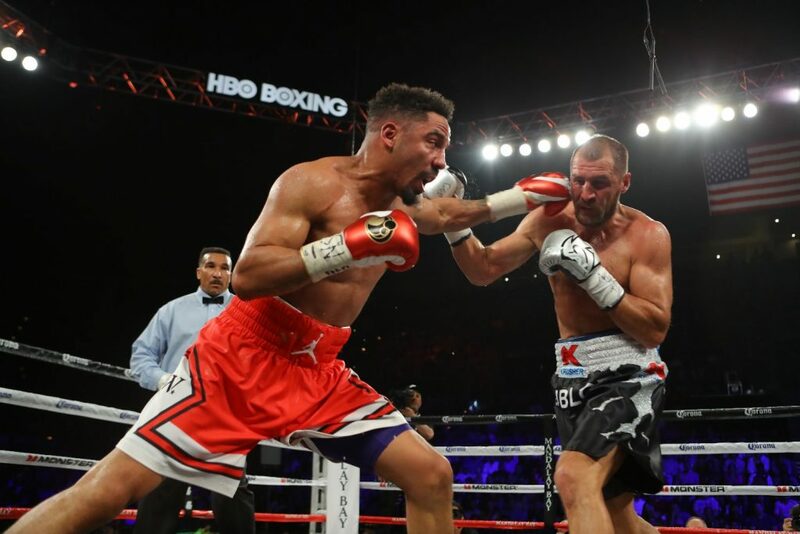 Andre Ward wins by TKO over Sergey Kovalev in the 8th round! He remains undefeated and improves his record to 32-0. 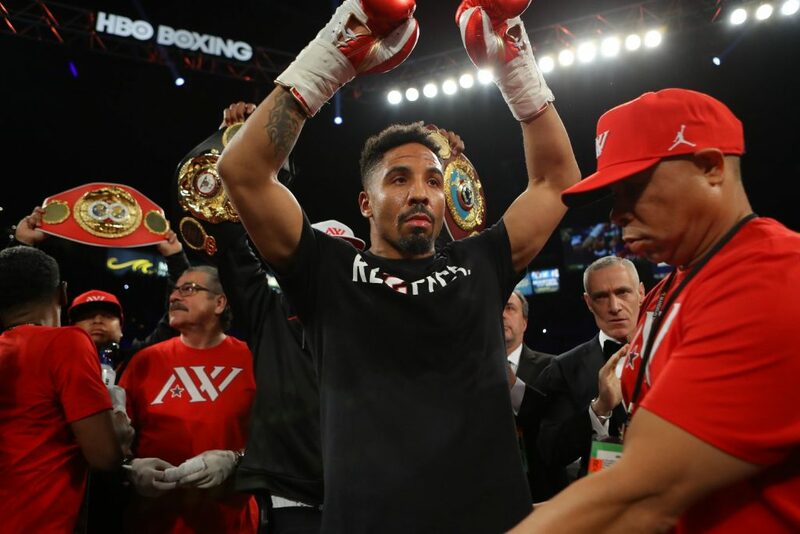 Is Andre Ward the #1 pound-for-pound fighter in the world? We think so! Congratulations Andre! 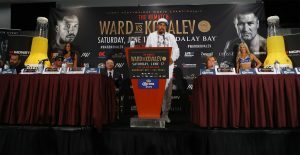 LAS VEGAS, NV (June 16, 2017) – On Thursday, June 15, Unified Light Heavyweight World Champion Andre “S.O.G.” Ward (31-0, 15 KOs) and former WBO, WBA and IBF Light Heavyweight World Champion Sergey “Krusher” Kovalev (30-1-1, 26 KOs), along with their teams, participated in the Fight Week Powered by Monster Final Press Conference for their highly-anticipated showdown. 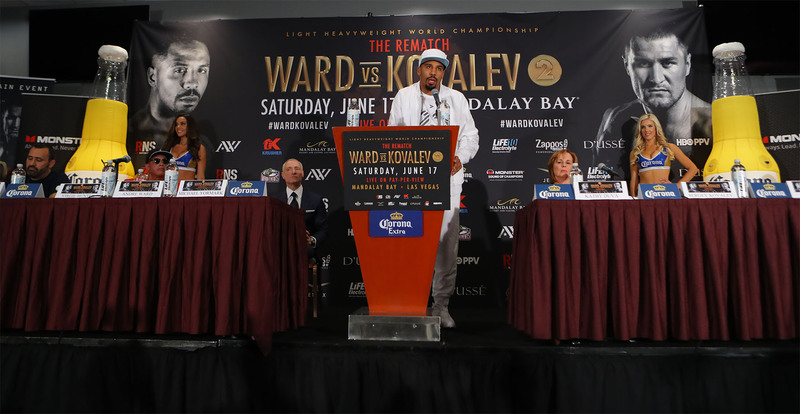 Ward-Kovalev 2: “The Rematch” will take place Saturday, June 17 at the Mandalay Bay Events Center in Las Vegas. 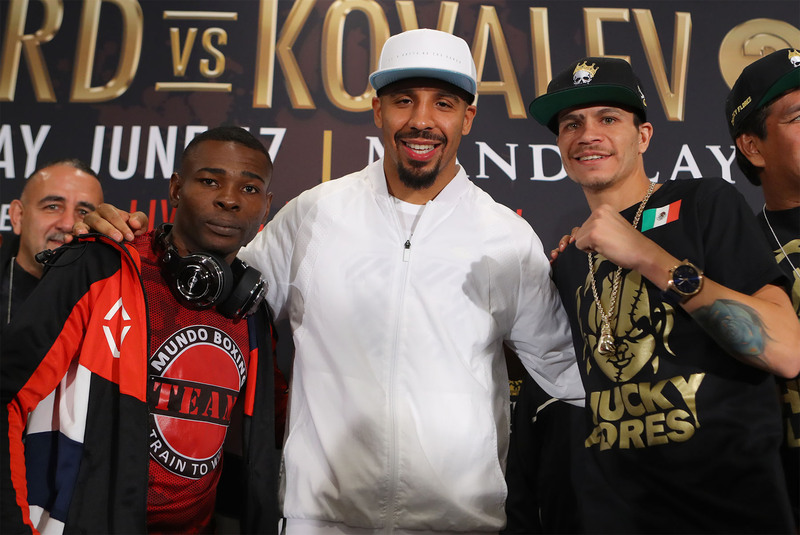 The championship event, presented by Corona Extra, will be produced and distributed live by HBO Pay-Per-View® beginning at 9:00 p.m. ET/6:00 p.m. PT. “Thank you everybody, before I start I just want to send my prayers out to Daniel Franco and his family. It broke my heart when I heard, and on top of that, he is a stablemate of mine. He has fought on several of my undercards. It’s the worst situation that a fighter can find themselves in so I just want to let his family know that I’m praying for him. I would love to speak to him at some point in time and I’m dedicating this victory to him and his family because he is a brother in this sport. It’s a tough situation but we are praying and I know he’s going to pull through. “I’m excited to be here. I’m the same guy that I was last time, the guy that I was five fights before, two years before. We don’t have a lot of highs and lows in this camp. You know we’ve been grinding from the beginning, we’ve got a blue collar mentality, we put our head down, we don’t take no mess. We fight to stay humble because we know where our strength comes from and if that strength is removed, we’ve got problems. It’s no different in this fight. I’m no higher than I was last time. Emotionally, I’m no lower. I didn’t train any harder. There was no major overhaul but we’re going to make adjustments. We know his side is going to make adjustments. At the end of the day, I’m not going to be distracted by the talk. I’m not going to be distracted by the ploys. I had a couple of missions in mind when I came to Las Vegas–to glorify God with my performance and the way I act outside the ring, to defend my belts that I won back in November, and to get home and kiss my wife and kids. “I’m locked in on what I’ve got to. I hope everyone tunes in to HBO Pay-Per-View. And those who are reading this, if you are here, come to the fight. It’s going to be a tremendous fight. I’m expecting his best. 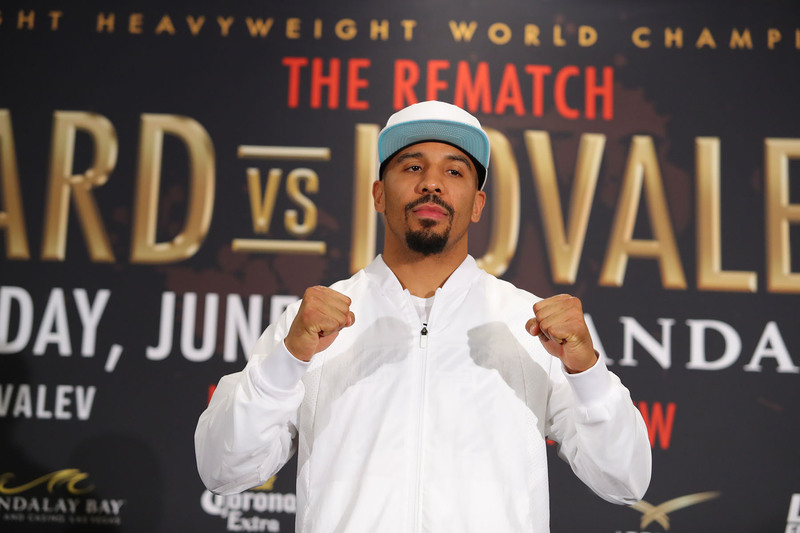 You’re going to see a different Andre Ward. I’m just going to leave it at that. You’re going to see another guy in there Saturday night; and that is my favorite time – show and tell time. All the talking is good for the fans, it’s good to build it up, it’s all good but anybody that knows me, knows that I’m about the action. About getting it done. I’m thankful to be in this position. I’ve been in this position for over a decade and I’m blessed to be at the highest level for as long as I have.